Modernity meets tranquility in the beautiful harbor side of the Swedish capital city and the vast Baltic Sea archipelago of Stockholm. 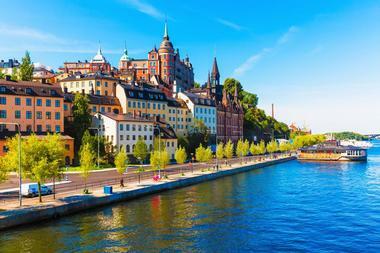 Spread across 14 islands connected by more than 55 bridges, each of which has its own distinct character and charm, Stockholm exudes an almost intimidating beauty and sense of fashion. Neighborhoods are tightly packed and each features its own exciting attractions and sights, from world-class restaurants and inspiring architecture to delightful museums and galleries, fantastic shopping, and lovely green parks. Fotografiska is a museum of contemporary photography and one of the world’s largest meeting places for artists and photographers. Housed in a former customs house, the museum presents a world-class contemporary photography exhibition program with four large annual shows and around 20 smaller exhibitions taking place each year. The museum is also home to an award-winning restaurant run by the acclaimed chef Paul Svensson, which focuses on green seasonal dishes, as well as a photo gallery and book and souvenir shops. 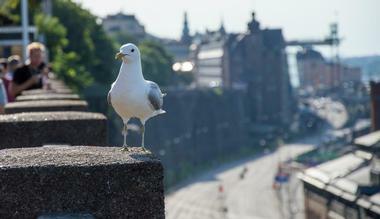 The café on the top floor of the museum boasts some of the finest views in the city. The Vasa Museum (Vasamuseet) is a museum dedicated to Stockholm’s maritime history. Located on the green island of Djurgården, the Vasa opened in 1990 and is one of the city’s most visited museums. The institution’s most famous exhibit is the almost entirely intact 64-gun warship Vasa that had the misfortune to sink on her maiden voyage in 1628 and one of the only ships from this period to have been salvaged and restored. There are numerous exhibits and models around the ship showing the construction, sinking, location, and recovery of the ship as well as exhibits on the history of Sweden in the 17th century. The museum also features four other ships moored outside the building, namely the light vessel Finngrundet (1903), the icebreaker Sankt Erik (1915), the rescue boat Bernhard Ingelsson (1944), and the torpedo boat Spica (1966). The Swedish History Museum (Historiska Museet) is dedicated to showcasing the archaeology and cultural history of Sweden from the Mesolithic to the present day. Founded in 1866, the museum dates back to the 16th century, when it began as a base to house collections of art and historical objects gathered by Swedish monarchs. Today, the museum presents several permanent exhibitions and special exhibitions tied to current events throughout the year. The museum has a concrete vault beneath the central courtyard known as the Gold Room, which features on display a variety of 3,000 gold and silver objects weighing between 52 and 200 kilograms. 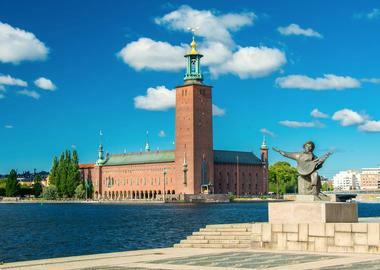 One of Sweden’s most famous buildings, Stockholm City Hall is the building for the city’s municipal council. Standing on the eastern tip of Kungsholmen Island with beautiful views of the Riddarholmen and Södermalm islands, the city hall complex is built on a roughly rectangular ground plan around two open spaces – the Blå Hallen (Blue Hall) to the west and an open-air piazza called Borgargården on the eastern side. Stockholm City Hall is home to magnificent grand ceremonial halls and unique pieces of art as well as ceremonial halls, offices, and the elegant restaurant Stadshuskällaren. The city hall hosts the annual Nobel Prize banquet each December. 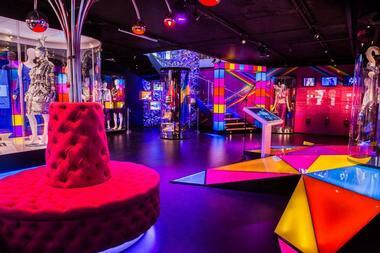 ABBA The Museum is an interactive exhibition dedicated to the famous pop group ABBA. 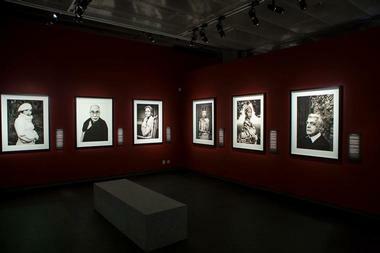 Despite its name, it is not a museum as it does not have any collections, but rather showcases a range of collected works about the group in a contemporary, interactive setting at the Swedish Music Hall of Fame in Djurgården. Memorabilia in the museum include gold records, members’ traditional stage costumes, and other personal items from the band. Visitors can experience the feeling of being the 5th ABBA member through interactive displays such as 3D avatars, singing at the Polar Studio, and entering the stage together with the band. Stortorget (The Big Square) is the oldest public square in Stockholm and one of the city’s most popular tourist attractions. Located in the old town central of Gamla Stan, the historic center was built in the 13th century and formed the heart of the old town of Stockholm. The square was used as a market square and a central meeting place and was known as the political heart of the city until the city hall moved to the Bondeska Palace in 1732. Today, the square is bordered by beautiful patrician houses and is occasionally the scene of demonstrations and performances. It is also renowned for its traditional Christmas market, which presents local cuisine and handicrafts. 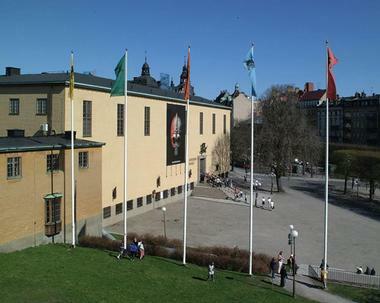 The Nobel Museum is dedicated to providing information about the renowned Nobel Prize, the life of Alfred Nobel (1833–1896), the founder of the prize, and Nobel laureates from 1901 to the present day. 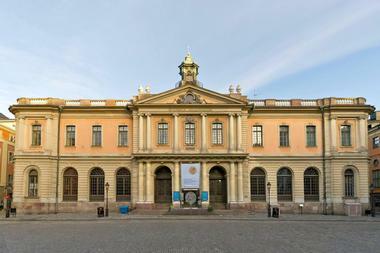 Located in the former Stock Exchange Building (Börshuset) along with the Nobel Library and the Swedish Academy, the Nobel Museum showcases essential information about the most prestigious prize in the world through interesting and informative exhibits and displays, artifacts, and personal life stories. Visitors can enjoy guided tours and films and there is a café-style bistro that serves light meals and drinks. 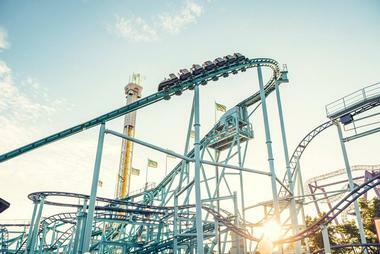 Gröna Lund is an amusement park on Djurgården Island in Stockholm. Built in 1883 by James Schultheiss, this fairly small 15-acre park has over 30 attractions and hosts concerts and performances in the summer. Sweden's oldest amusement park, Gröna Lund has three different entertainment venues and features an array of attractions common to amusement parks, including a fun house, a tunnel of love, and seven roller coasters. Famous artists who have performed at Gröna Lund in the past have included Bob Marley and upcoming concerts will feature The Cardigans and Elton John. 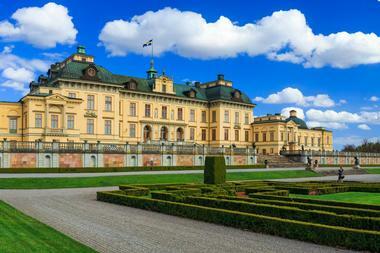 Part the Royal Domain of Drottningholm, Drottningholm Palace is the permanent residence of the Swedish royal family and a magnificent example of an 18th-century north European royal palace. Inspired by the Palace of Versailles, Drottningholm Palace stands on an island in Lake Mälar in a suburb of Stockholm and is surrounded by a Chinese pavilion and imposing baroque gardens and a beautifully preserved theater dating back to 1766. One of three UNESCO World Heritage Sites in the city, the palace features fine salons from the 17th, 18th, and 19th centuries, and both the palace and gardens are open to the public all year round. 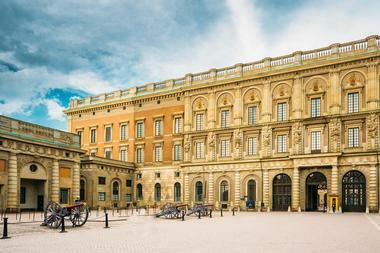 The Royal Palace of Stockholm is the official residence of the Royal Family and the setting for most of the monarchy's official receptions. The Royal Palace is also the daily place of work for the king and queen and the various departments that make up the royal court, creating a unique combination of a royal residence, workplace, and culture-historical monument. Built by the architect Nicodemus Tessin in the baroque style, the palace echoes the form of a Roman palace with more than 600 rooms over seven floors and a state apartment. The Royal Palace of Stockholm is open to visitors all year round and offers a variety of fascinating things to see, from the royal apartments to three outstanding museums. 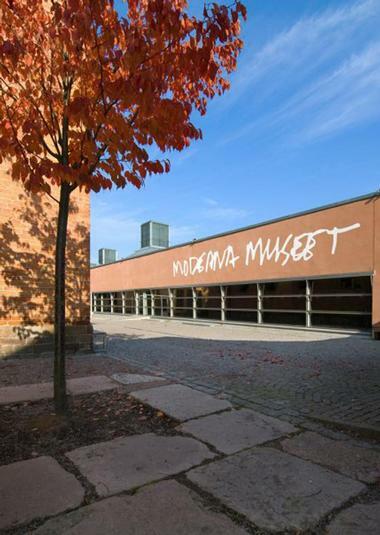 The Moderna Museet (Museum of Modern Art) is a state museum for modern and contemporary art. Located on the island of Skeppsholmen in central Stockholm, the museum was established in 1958 and features one of Europe's foremost collections of art from the 20th century to today. Collections and temporary exhibitions of contemporary art are displayed alongside modern classics, including works by Matisse, Picasso, Deckert, and Dali. Designed by Spanish architect Rafael Moneo, the building is surrounded by beautiful natural landscapes with stunning views of Djurgården and Strandvägen and offers a first-class program of temporary exhibitions, a children's workshop, a family-friendly restaurant, and a store. 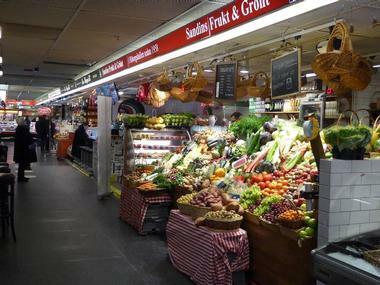 Food Tours Stockholm offers a variety of guided walks and tours through the city, focusing on the cuisine and beverages of Stockholm and Sweden. Guided culinary promenades are led by friendly locals with a passion for food and their city who take visitors to carefully selected restaurants, cafés, bars, and specialty stores to taste their wares. 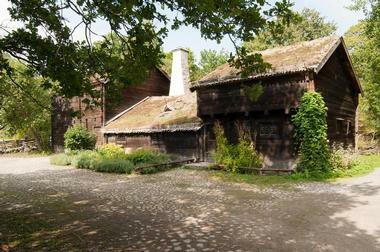 Skansen (the Sconce) is the world's first open-air museum and zoo featuring animals native to Scandinavia. Founded in 1891, the museum showcases five centuries of Swedish history through outstanding exhibits of histori¬cal buildings and dwellings and cultural displays of characters in period dress. The museum has features 150 farms and houses from various parts of the country, including a full replica of an average 19th-century town and its inhabitants in traditional dress demonstrating their skills such as tanning, glass-blowing, and baking. Located on Royal Djurgården and boasting spectacular views of the surrounding city, Skansen also celebrates Swedish traditions such as Lucia, Midsummer, and Walpurgis Night throughout the year. Monteliusvägen is a 1,364-foot-long pedestrian promenade that runs along the cliff above Södermälarstrand and offers spectacular panoramic views of Lake Mälaren, City Hall, and Riddarfjärden. Named after archaeologist and historian Professor Oscar Monteliusvägen, the promenade runs from Cat Alley in the west, which connects to Södermälarstrand via some stairs, to Skolgränd in the east. Lined with charming houses on one side and stunning vistas on the other, the path features several terraces and park benches along the way, offering places to rest and soak up the breathtaking views of the old town and Riddarfjärden Bay. One of the many islands in Stockholm, Skeppsholmen is famous for being a strategic military base at the entrance to the Baltic Sea and was home to several military buildings. Today, many of the military buildings have been replaced by museums, including the Museum of Modern Art, the Östasiatiska Muséet (East-Asian Museum), the Architectural Museum, and the Teater Galeasen. 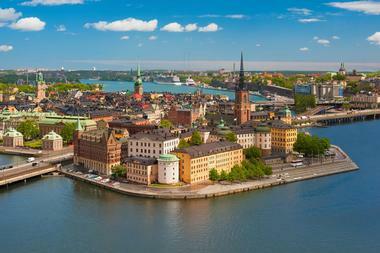 The island also plays host to the annual Stockholm Jaxx Festival every year, which attracts thousands of music lovers. Skeppsholmen is connected to Blasieholmen and Kastellholmen by bridges and can also be accessed by foot, bus, or boat. Fondly known as “Stockholm’s Balcony,” the Fjällgatan on Södermalm is a viewing platform located high above the city on the edge of a cliff that offers spectacular panoramic views. 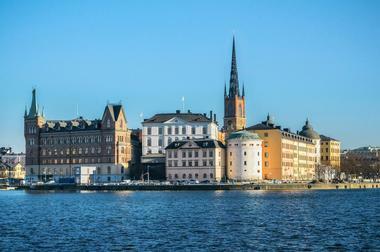 From the Fjällgatan, visitors can see the island of Djurgården, Gamla Stan (the Old Town), the museum island of Skeppsholmen, and some of the taller skyscrapers at Hötorget and the television tower Kaknästornet. The charming Fjällgatan’s Kaffestuga Café can be found at the northwestern end of the viewing platform, and the blocks surrounding Fjällgatan are lined with beautifully preserved wooden buildings dating back to the 18th century. The green island of Djurgården or, more officially, Kungliga Djurgården (the Royal Game Park) is a tranquil oasis in the heart of Stockholm which has been royal land since the 15th century. The island is home to a wealth of historical buildings and monuments, museums, and galleries as well as the Gröna Lund amusement park, the open-air Skansen Museum, and the exclusive residential area of Djurgårdsstaden. There are also extensive stretches of forest and meadows and pleasant cafés and restaurants that create an inviting, relaxing environment that attracts both locals and visitors alike. 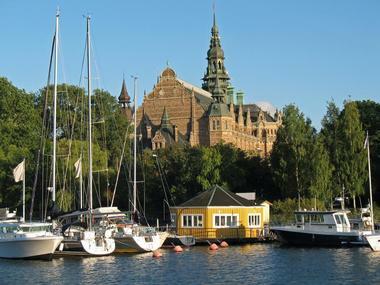 Djurgården is easily accessible by foot, ferry boat, bus, or tram. Gamla Stan, also known as the Old Town, is one of the largest and most beautifully preserved medieval city centers in Europe. Officially known as Staden Mellan Broarna (the Town between the Bridges) until 1980, Gamla Stan was literally the birthplace of Stockholm, the place where the city was founded in 1252. Gamla Stan and the adjacent island of Riddarholmen are home to an array of charming, historic buildings, beautiful churches and museums, restaurants, cafés, and bars, and handicraft, curio, and souvenir shops, creating a living pedestrian-friendly museum. 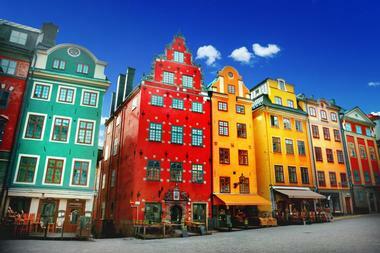 Notable buildings include the Stockholm Cathedral, the Nobel Museum, and the Royal Palace. 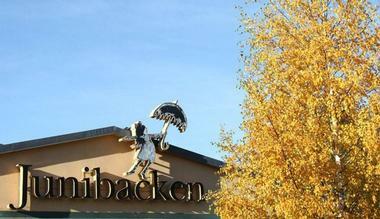 Junibacken is an acclaimed children’s museum situated on the island of Djurgården. Founded by Staffan Götestam, Fredrik Urström, and Peder Wallenberg and officially opened by the royal family in 1996, Junibacken is dedicated to Swedish children’s literature, with a particular focus on the author Astrid Lindgren. The museum features the largest children’s bookstore in Sweden and an array of attractions, including a Storybook Square, which takes visitors on a journey through the magical fairytale world of Astrid Lindgren, complete with a mock public square and a Vimmerby railway station. 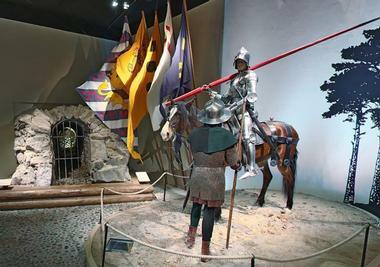 The museum also includes a theater, a temporary exhibition space devoted to a single author or character, and a family-friendly restaurant. Långholmen is an idyllic island in central Stockholm that is a favorite spot for picnics, swimming, walks, and other forms of outdoor recreation for locals and visitors alike. Situated between Södermalm and Kungsholmen, this green oasis was once a barren and rocky island and was home to a high-security prison that operated from the 18th century right up until 1974. Today, however, the green has taken over the grim and the island features a traditional hostel with a prison museum, charming buildings, lovely beaches, outdoor stages for performances, and a sustainable allotment garden area. 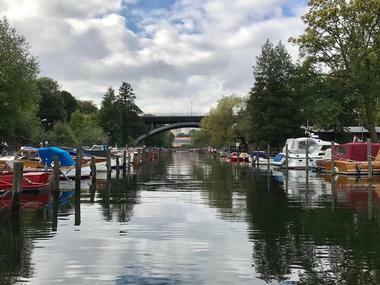 The island is also home to one of Stockholm’s oldest shipyards, Mälarvarvet (the Mälaren Yard), and the small Bellman Museum with a café. Centrally located north of the Royal Palace, the Museum of Medieval Stockholm is dedicated to showcasing the history of Stockholm and the people who have lived in the city since medieval times. Built around old monuments excavated in an extensive archaeological dig in the late 1970s, the museum features a well-preserved 180-foot-long section of Stockholm’s city wall dating back to 1520 as well as stories from old Stockholmers, such as Jöns Skomakare and Sketna Gertrud Syltekona. The entrance to the museum is located under Norrbro, Stockholm’s oldest stone bridge, and admission to the museum is free. 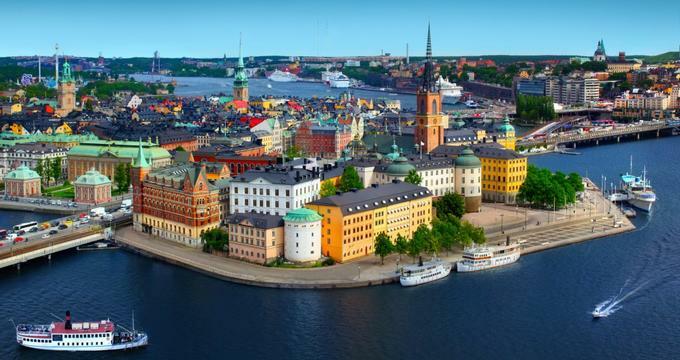 Riddarholmen (the Knights' Islet) is a small island that forms part of Gamla Stan, the old town, and is home to an array of famous buildings, including several private palaces dating back to the 17th century. The main landmark on the island is the magnificent 17th-century church of Riddarholmskrykan, which was used as Sweden's royal burial church until 1950. Other exceptional architectural gems include the Old Parliament Building on the southeastern corner of the island, the Norstedt Building, once the printing house for renowned Norstedt publishers, and the Old National Archive set on the eastern shore. 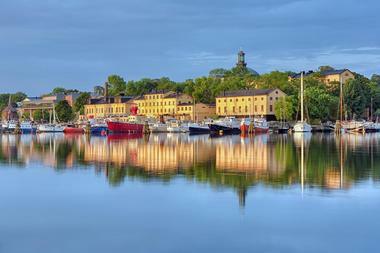 The western end of the island boasts spectacular panoramic and photogenic views of Riddarfjärden Bay. 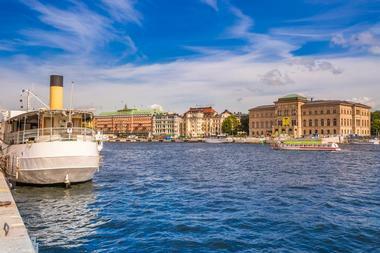 Södermalm, often shortened to Söder, is a creative, trendy, and vibrant island and district in the heart of the city. This diverse neighborhood boasts a plethora of unique shops, boutique and vintage stores, art galleries, museums, design stores, Swedish fashion, and an abundance of buzzing restaurants, cafés, and bars. The Hornstull area has recently undergone a massive gentrification project and is now a popular meeting place for Stockholm hipsters, while Fjällgatan and Monteliusvägen offer breathtaking views of the city. Södermalm is connected to its surrounding islands by several bridges and can be accessed by foot, ferry, or bus. Free Tour Stockholm offers guided walking tours in and around the city of Stockholm and presents opportunities for visitors to discover and explore this amazing city. Founded in 2010 by husband-and-wife team Annelie Drakman and Freddie Kaplan, Free Tour Stockholm offers tours free of charge that are led by expert guides who share their passion and knowledge of the city. Entertaining and informative tours last between 90 and 120 minutes and explore the rich history of the city, take in the exquisite architecture, visit some of the city’s most famous restaurants, and soak up the breathtaking views.